The Magic of Maple Syrup! There is arguably nothing more Canadian than Maple Taffy on Snow, and it is Maple Syrup time in Ontario right now! 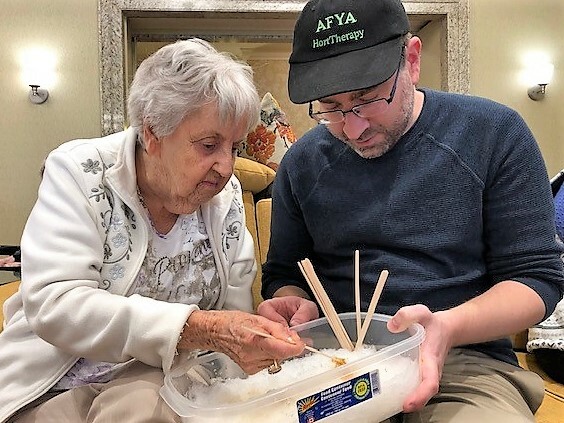 Instead of venturing out into the ice and cold, Delmanor Elgin Mills invited Sean from Afya Horticultural Therapy into the warmth of the residence to make some fresh maple sugar for everyone to enjoy! 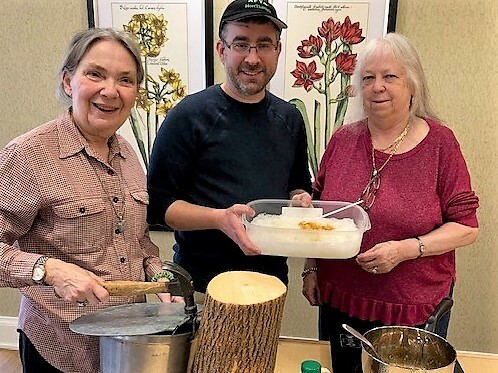 Residents were treated to a history of the Ontario Maple Sugar bush festivals and were shown how sap is extracted from trees to create delicious syrup. Residents were given the opportunity to tap into a tree trunk with a hammer and then boil the sap until it turned into delicious amber syrup. To make the syrup more palatable, Sean brought in containers of fresh snow to pour the hot syrup on to, making maple syrup candy! 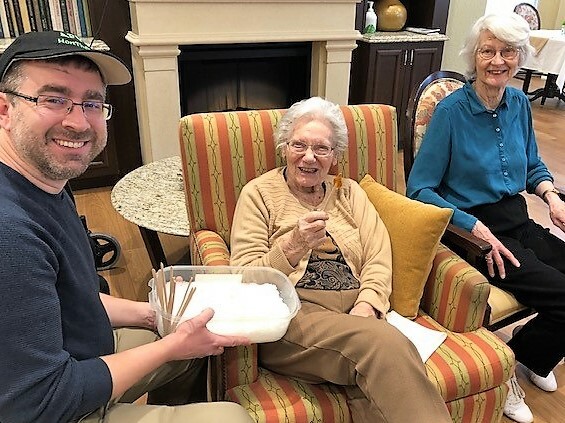 What a lovely treat for the residents of Delmanor Elgin Mills and what a wonderful truly Canadian way to celebrate the end of winter and the start of spring!